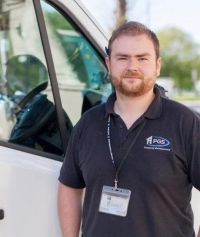 If you have an appliance in need of repair look no further than PGS Electricians. Our appliance repair experts are qualified to fix almost any appliance in your home. All our work is guaranteed and we can usually get out to you same day or next day as required. If your appliance is not on the list above please call for information, we're happy to provide free advice. We can also work on most small appliances but if we feel that your appliance is beyond economical repair we will advise you accordingly in order to avoid wasting your time and money. We have on our team fully qualified and experienced Gas Safe registered engineers so if you have a gas appliance that needs to be repaired we can always help. We can source great value parts and spares for most appliances quickly and efficiently through our extensive network of suppliers.